JibberJobber is THE App to help you organize your job search and manage your relationships. The premium level of JibberJobber ($60/year) includes access to the JibberJobber Video Library, which has many courses that help you with your career management. 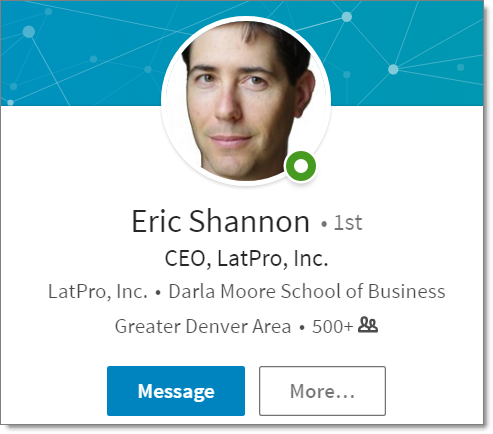 You probably haven’t heard of Eric Shannon. He’s a super cool guy, and really smart. He’s also been in the job board space for 20 years. Isn’t that crazy? I’ve had a few calls and emails with him over the years, and I respect everything he’s shared with me. So now it’s my turn to share something awesome, from him, with you. Eric wrote a post titled Use big-ticket sales techniques to get in the game – how to land the interview you want. This is one of the best posts I’ve ever seen. It’s deep, and kind of long, but it’s definitely a post I can stand behind. As a bonus, his followup is a post on how to land the job offer. Great stuff!